Toshiba applies to join Blu-ray Disc Association | What Hi-Fi? In a statement from Tokyo this morning, Toshiba says: "In light of recent growth in digital devices supporting the Blu-ray format, combined with market demand from consumers and retailers alike, Toshiba has decided to join the BDA." Toshiba aims to produce Blu-ray players and notebook PCs with integrated BD drives. 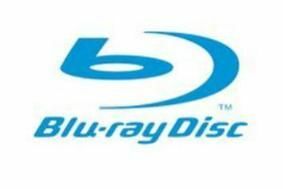 Details of the new Blu-ray products, along with the timing of regional launches, are now being considered and "announcements will follow in due course". Olivier van Wynendaele, assistant general manager of marketing for consumer products, Toshiba Europe, says: "We have to give consumers what they want, and it's clear that Blu-ray will be a significant part of the market. We also need to support our TV sales with Blu-ray player bundles." He confirmed the first players will go on sale in the UK "before the end of this year", and that they will be aimed at the budget end of the market, not high-end. "If we want people to adopt Blu-ray players, we must make them affordable," says van Wynendaele. He also says Toshiba is considering developing TVs with built-in Blu-ray players too. Naturally, we'll keep you updated as soon as we have more news.